Chapter books can be a bit tricky. Reading a chapter book takes a time investment, so you don’t want to read one that isn’t good. 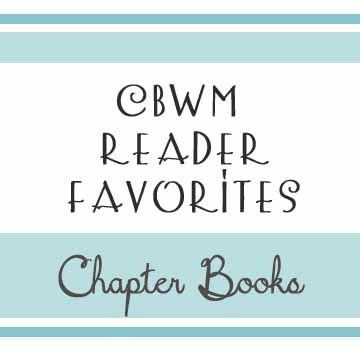 In this post, please share what chapter books your child has/does love. Share the title, author, and a brief synopsis (it can be a one-sentence synopsis–just enough to understand the subject matter). It would be helpful to share the gender of your child and age the book was enjoyed. (This post contains affiliate links). Rainbow Fairies series is a great chapter book intro series (Ocean Fairies #1: Ally the Dolphin Fairy: A Rainbow Magic Book). Cam Jensen books are good too (Cam Jansen and the Mystery of the Stolen Diamonds). i can't wait to read these! we are just starting some chapter books so haven't done much at all (a Beverly Cleary book about twins). The librarian recommend Frog and Toad books for young kids as they're really sweet….we tried one and definitely for the younger reader/starting to develop listening skills to chapter reading. The one we read had 4 chapters but they were more like 4 standalone stories.